Howard Elementary School held its annual yard sale May 4. It was an event started about three years ago as an idea played off a communitywide yard sale in the borough. Students collected donations throughout the week and opened an outdoor area to sell the items in front of the school. Items were donated by students, faculty, staff and community members, which included books, games, supplies, household items, antiques, baked goods and more. 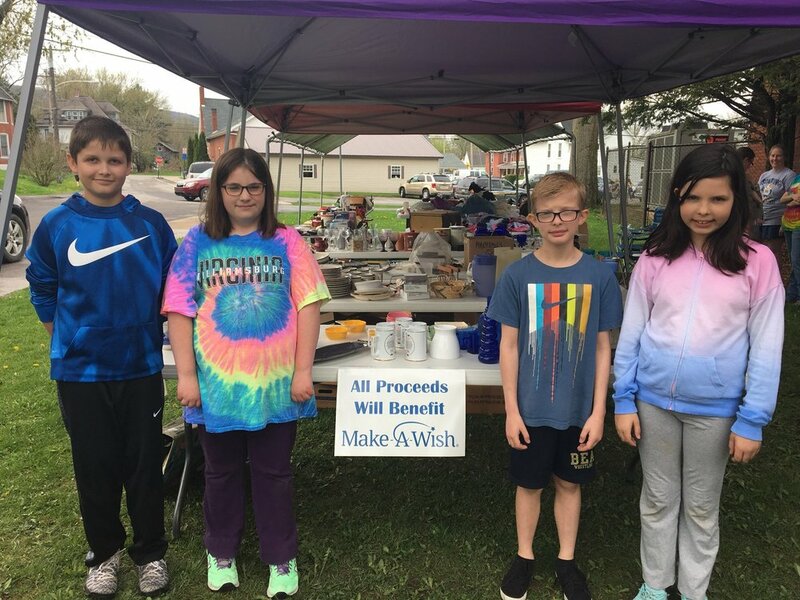 All donations will be put toward the school's Make-A-Wish Foundation campaign to help raise enough money to provide one wish for someone -- that's about $4,600. And, as motivation to help bolster donations, if they meet the goal, Principal Skip Pighetti said he plans to camp on the roof of the school.